One of Canada’s largest credit unions, Coast Capital Savings CU, is looking for a full-time software developer experienced in Temenos’ T24 core banking system. What’s the job? Writing code, developing and customising the credit union’s core processing platform, T24. “That sounds pretty simple but working on the software platform that powers our core banking operations is definitely not,” Coast Capital Savings states. In addition, a successful applicant will “get to play a role in sharing his/her T24 knowledge, helping to mentor the next generation of developers”. The credit union is looking for “a programmer with ninja like keyboarding skills who is similarly quick, flexible and formidable when solving problems with creative solutions”. The requirements include experience with a variety of software languages, tools, databases and platforms in both UNIX and Window environments for a minimum of seven to nine years, and specifically three to five years of working with T24 R8+. “And like a ninja, you are disciplined, focused and driven to deliver incredible work,” the credit union adds. In return, Coast Capital Savings promises an environment of “great products, great people and a great attitude”. Salary-wise, it offers CA$77,000-90,000 based on experience and skill level with a target bonus of 17.5%. And then there is location. “This position is based in a super cool office in Surrey, British Columbia with a fantastic view of Mount Baker, Washington”, the credit union says. 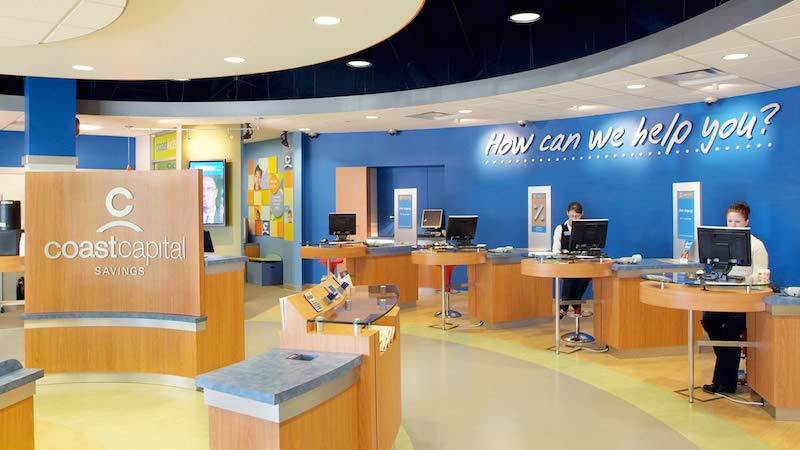 Coast Capital Savings Credit Union is Canada’s largest credit union by membership with 522,000 members, assets of $15.1 billion and 50 branches across British Columbia. The project with Temenos goes back nearly a decade, to 2007, when Coast Capital Savings embarked on a system selection to find a replacement to its incumbent solution, Profile from FIS. The contract was signed in 2009 and the original plan was to go live in 2011. However, by late 2012, the project team was still “buckling down in an effort to complete and launch the system as soon as possible”, according to the credit union. The switchover finally took place on 8-12th February 2013. Most of the credit union’s banking services were unavailable during that time. During the cutover period, branches and insurance offices were closed, there were no online, mobile or telephone banking services available for either personal or business customers, and Coast Capital Savings’ ATM network (including business depository) was not working. In addition to the core banking system, the credit union also implemented Temenos’ business intelligence (BI) offering, Temenos Insight. Canada's largest credit union by membership turns to ebankIT.